Picture the scene. You’re on a cold, wet used cars sales forecourt and there’s a high energy salesman reeling off facts and figures. Hang on a second, the engine in the Twingo? For many people buying a car, the only reason that engine size affects their purchasing decision is because it can swing their insurance policy premium one way or the other. 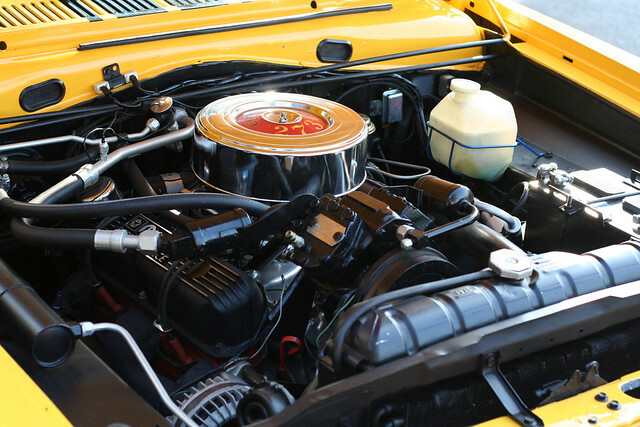 When it comes to used car sales, engine size should not just been seen for it’s effects on insurance, but for the way it will help or hinder your driving habits and routines. Do you live in a built up area and drive a fairly short distance to work, stopping and starting at traffic lights, zebra crossings and in traffic? What do you need an SUV or sports car for then? SUVs generally have larger engines which are designed to drive comfortably at high speeds, often over 60mph. Take the Audi A8 4.0l for example; this car would be wasted as an inner city commuter car, as it does all of its best work and gets the most efficiency out of the 4.0 litre engine on country roads and motorways. Why did we mention the engine of the Twingo? Well, at 1.2l it’s small, yes, but it only needs to be small if it’s going to be driven at low speeds. Once this bad boy gets up to 70mph or over, it’s going to be slightly straining the engine, which can be damaging in the long run. This car, along with other small engine cars like the Up!, 107, Smart Car, Mini, Citigo and Aygo are not only friendly for city driving, they also have smaller chassis that are easier to park and navigate through tight gaps. What you may not know is that with the improvements in engines over the last decade, you’ll find that a 1.4l engine in 2015 holds about the same power as a 2.0l engine from 2005. So even though you might feel your smaller engine car pulling a bit at high speeds, it wouldn’t be pulling anywhere near as much as it would have a decade ago. Car experts agree that most people with mixed driving habits of city, country and motorway driving would not struggle with a modern car that has an engine anywhere between 1.0l and 1.6l. Large engines burn a lot more fuel than small engines, so unless you’re driving at high speeds for long distances, like a travelling salesman perhaps, you might only need a small engine car. Large engine cars may be more suitable for those who often have a full car of passengers, or a heavy load of goods being carried around. The same goes for vans, the larger the load, the larger the engine. If you tow a trailer or a caravan, it’s also advised to used a car with a large engine. Small engine cars will provide a better miles per gallon ratio when used for low rev and low speed driving, which is common in cities and towns. So, when visiting a used car sales showroom or forecourt, bear in mind to consider the size of engine you need, rather than a size too big or too small for you. This will help you out in the long run, as it will maintain your car better, putting less stress on the parts, and will help reduce your fuel bill! Visit In Town Automotive’s used car sales showroom and we will give you honest, expert advice about the size of engine best suited for your driving habits. We are often credited for our honesty and integrity and this is carried through into our used car sales preparation. Every used car or van we have for sale has been serviced, MOT’d & valeted and had any necessary remedial work completed, giving you peace of mind that you will not get down the road and start having problems. For extra peace of mind and credibility all our cars come with a minimum 6 months warranty so in the unlikely event you do have an unforeseen problem we will endeavour to resolve it immediately, and not forgetting that most car sales will qualify for 3 Years FREE SERVICING too. If you see a vehicle you like in our car sales showroom you can either pre-book a test drive by calling on 01604 666700 or pop down to our showroom at Rothersthorpe Road Industrial Estate, Far Cotton, Northampton NN4 8ES. We have access to various vehicle finance options for car sales which we are happy to offer. This entry was posted in Guide, Used Cars and tagged car engines, car sales, engine sizes, used car sales, used cars on 4th January 2016 by admin.